When does a MINI become so big that it’s not, well, mini? There’s a fine line to be sure, but the new MINI Cooper Clubman seems to straddle it pretty well. Visually the Clubman is still cute with the round headlights and profile of a MINI, but there’s no doubt it’s longer and, to be honest, more useful than its predecessor. The new Clubman is roughly 12 inches longer than the former model with a wheelbase that’s five inches longer. The upshot is more rear seat room, decent cargo space with the rear seats folded down, and a smoother ride. There are four doors too, making it easier for folks to slide into the rear seat. The former model had just one rear-open back side door, making seat access a bit clumsy. 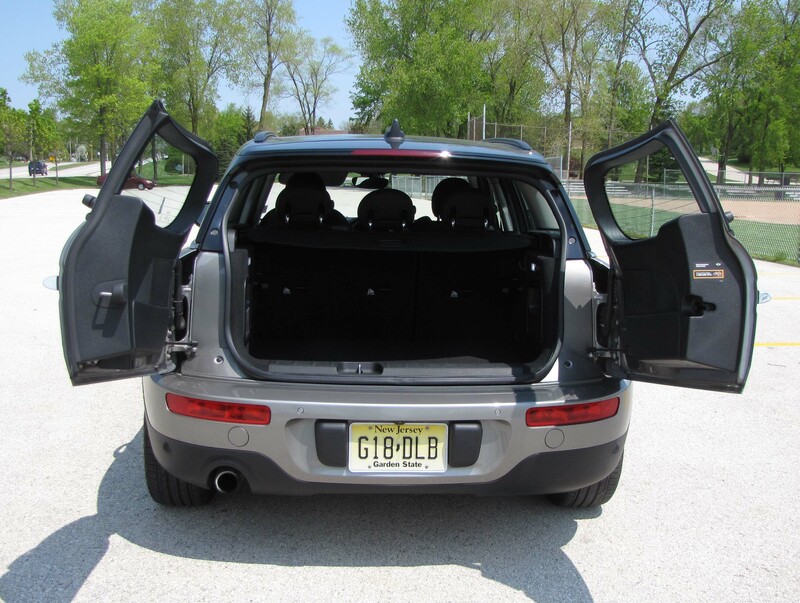 Like before, the Clubman keeps its rear panel truck-style doors, which allows for easier loading and unloading. Plus it means wider loads will slide out easily. 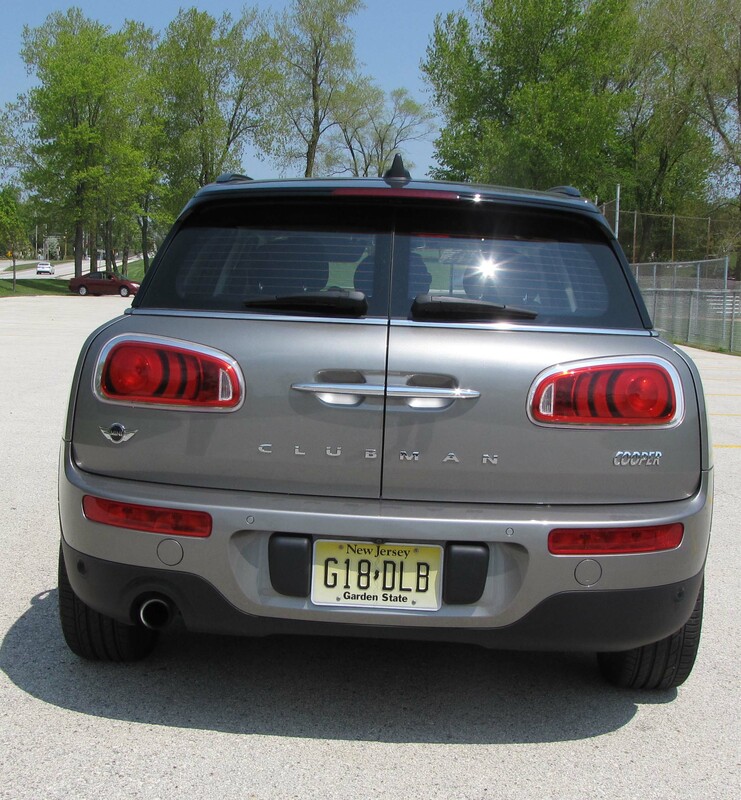 Clubman is a lot longer, but still carries the MINI profile. But if the MINI spirit, the lively handling and perky performance had been curtailed by the improvements, the MINI-ness of the Clubman would have been hurt. It has not. There’s still a perky (not muscular) 1.5-liter turbocharged I3 that creates 134 horsepower and 162 lb.-ft. of torque. You can still zip up to highway speeds easily and while I’d prefer the 6-speed manual transmission to increase the fun factor, the silver ($500 extra) test car added the $1,500 Steptronic automatic. It actually works well and puts the power to use smoothly. It even gets better gas mileage (25 mpg city and 34 mpg highway) than the manual. I got a laudable 34.9 mpg in about 60% highway driving. 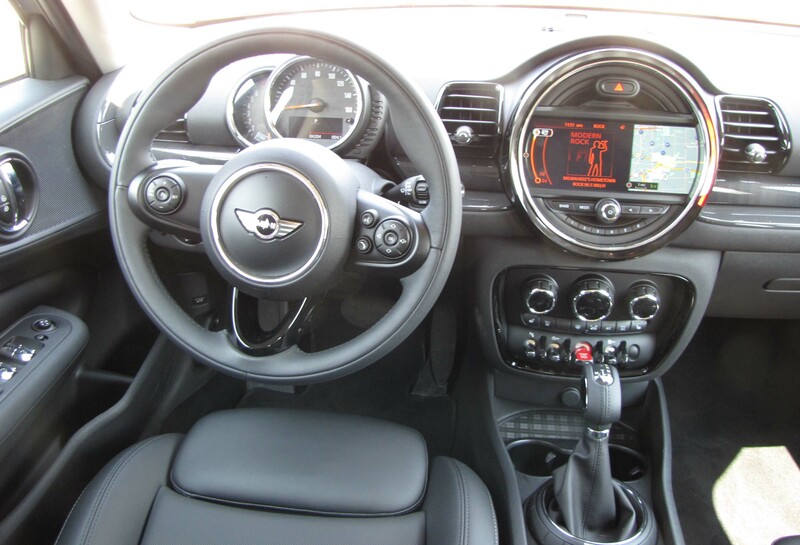 Handling is good too in sport mode where MINI’s steering is firmed up. In mid mode there’s some play in the wheel, not sloppy, but not as crisp as in sport. Green mode mainly cuts the power so the car oozes up to normal driving speeds. Ugh! A friend who owns an earlier Clubman declared this model’s ride “much” better than in his car, thanks to that stretched wheelbase. But ride still is firm, so be sure to test drive one to see if it meets your derriere’s requirements. Braking is good with discs all around and the usual brake-pedal and ABS assists that nearly all cars now feature. Inside, this one had black leather seats and a metallic herringbone patterned dash trim with flat black console and funky plaid inserts in the tray under the center stack and in the door pockets that are sort of cup holders. The interior seems quieter to me than in the past, always a good thing. 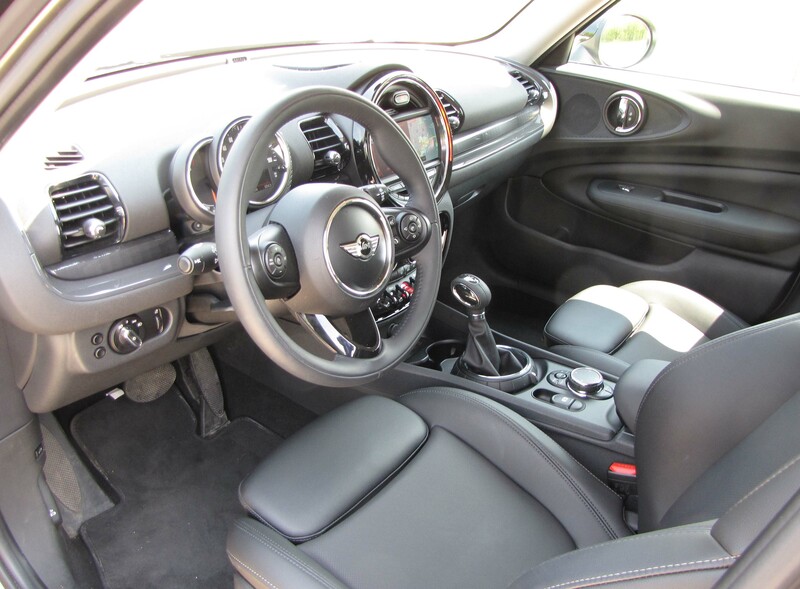 Yet it retains the mostly circular styling cues that MINI has featured all along. The big round screen in the center stack has the navigation and radio systems, while the speedometer is in the small circular gauge over the steering column. Once change is rectangular air vents, which look a little out of place stylistically, but work fine. I liked the round ones better. BMW, which makes MINIs in Oxford, England, also delivers racy, comfortable, supportive front seats, and these were heated too, a $500 option that’s worth the cost. Everything was easy enough to figure out and mostly all gauges and toggles are easy to use and simple to see. Overhead are two, count ‘em, two sun visors for the driver. One flips to the side and one deploys normally. Good move! Plus the car’s ambient lighting can be adjusted to several different colors by an overhead toggle. 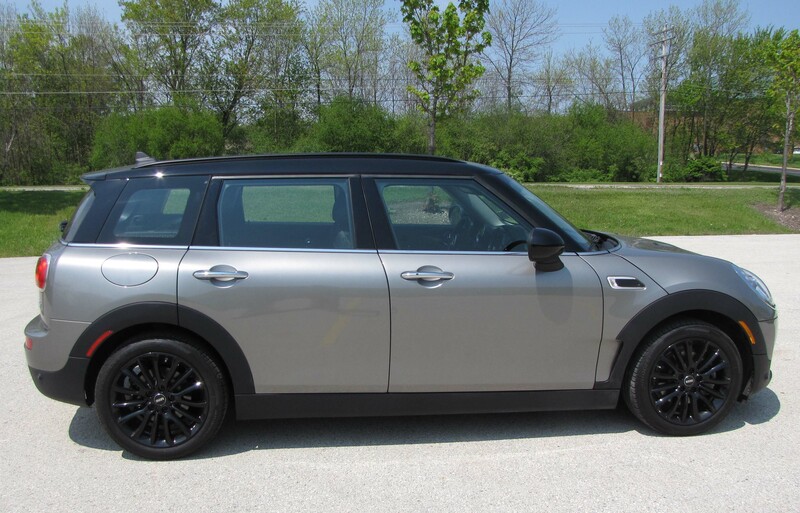 That certainly maintains the MINI spirit of driving fun. 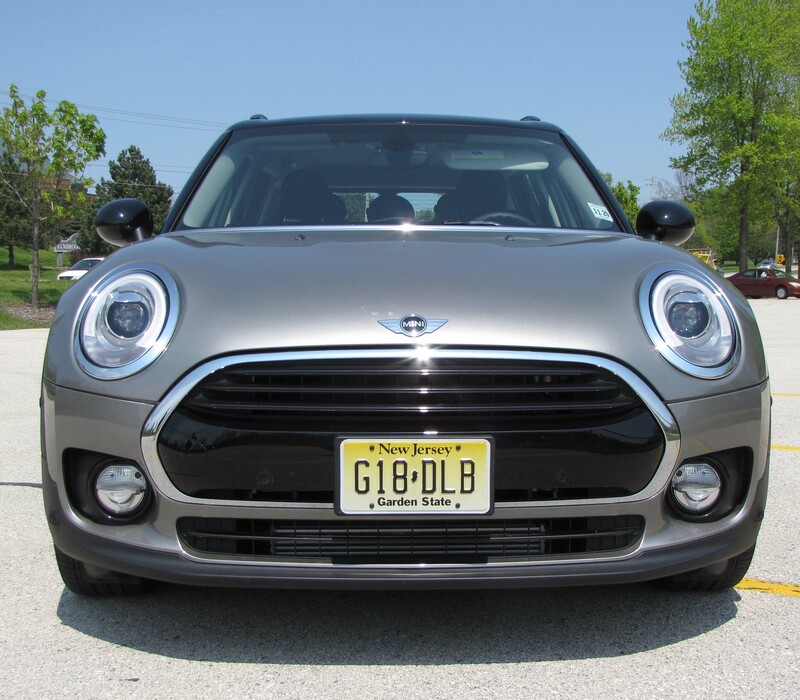 While the base Clubman starts with the manual transmission and an attractive $24,100 starting price, plus $850 delivery, the test car went high-tech. It added the Sport package that includes larger black wheels, the nicely formed sport seats and the push-button damper control. That adds $2,000 and the seats alone may be worth it. A tech package with navigation system and rearview camera adds $1,750 to the cost, while parking assist adds another $500, as does the electronic key fob. 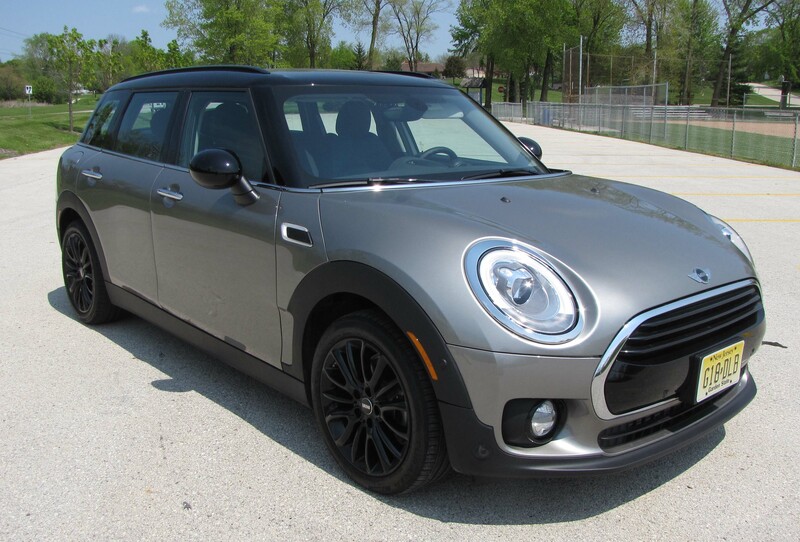 With a few other odds and ends the test Clubman hit $32,750, which seems a bit steep to me for what’s designed to be a fun, but useful small car. Plus if you need more power you’ll need to upgrade to the S model that features a 189-horsepower 2.0-liter 4-cylinder engine. It cranks 207 lb.-ft. of torque. The S starts at $28,500 and comes with a variety of other benefits beyond power, such as fog lights, the sport seats, black mesh grille, fancy wheels and a hood scoop. Who doesn’t like a hood scoop? I certainly do and if I were buying a MINI (and I might), I think the S model would be more fun, while remaining equally useful. Hits: Still cute but longer and more useful with four doors plus rear panel truck doors. Perky performance, good handling and improved ride. Seats are well formed, the ambient lighting can change colors and there are two, count ‘em, two visors for the driver. Misses: Ride still on stiff side, but better. Air ducts now rectangular, not round. Previous PostAudi Q7 3.0T QuattroNext PostCould you please roll down your window?